© Abrams Books, 2016(C) 2016 Lucasfilm Ltd. And TM. All Rights Reserved. Used Under Authorization. There is no doubt that Ralph McQuarrie’s sublime art was fundamental in shaping the success of Star Wars, and enriching the galaxy far, far away. For years his work has been archived and championed, but a new book is collecting some of his best (and some of his rarest) Star Wars art in a lavish volume, and we’ve got an exclusive look inside. Out today from Abrams Books, Star Wars Art: Ralph McQuarrie is a comprehensive guide to the artists incredible body of work for Star Wars—containing unpublished interviews, insight from colleagues, and two thousand illustrations across two hardcover volumes, encased in a box featuring McQuarrie’s iconic early concept art of C-3PO and R2-D2 on Tatooine. The art, some being reprinted for the very first time, includes covers McQuarrie’s concept work from the original Star Wars trilogy and beyond—portfolio work, matte paintings, merchandise art and even his famous Lucasfilm company cards. It’s an unprecedented tribute to his place in the Star Wars saga, and now you can see some of the art included inside, making its debut here on io9. Don’t forget to click the magnifier in the corner of each image to enlarge it! 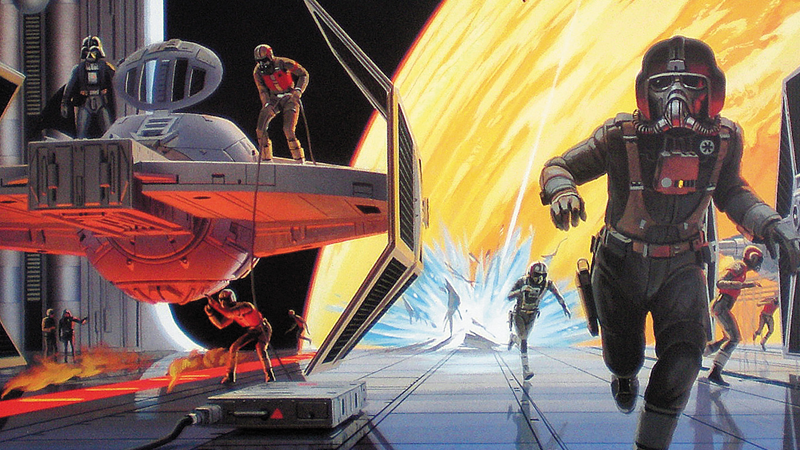 Star Wars Art: Ralph McQuarrie is available now, for $250.